Their high content of alpha linolenic acids (ALA) has made ancient flax seeds a modern miracle food. Along with chia seeds, flax seeds top the ALA scale chart, providing about 1. 7 grams of ALA per tablespoon. 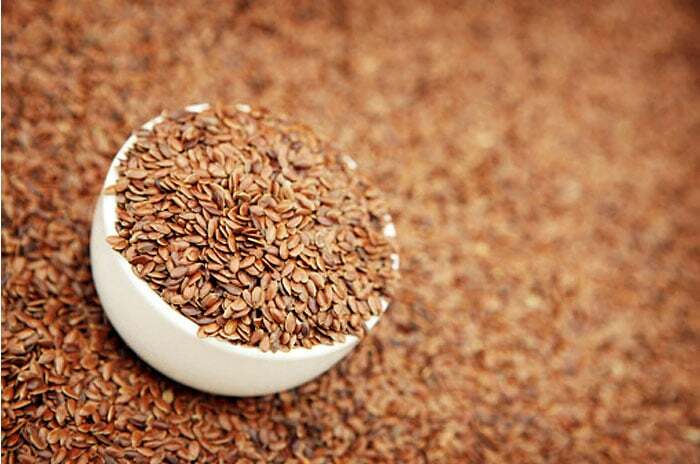 In the past 10 years, flax seeds have been touted as a super food, and these tiny wonders surely live up to the name! Early studies found that flax seeds may aid in lowering total cholesterol and LDL cholesterol levels. They may also keep platelets from becoming sticky, thereby reducing the risk of a heart attack. In addition to ALA, flax seeds are rich in lignan. Lignan provides fiber, and is a source of antioxidant phytoestrogen. Researchers revealed that lignan in flax seeds shows promise in fighting disease – including a possible role in cancer prevention, especially breast cancer. It is thought that lignan metabolites can bind to estrogen receptors, inhibiting the onset of estrogen-stimulated breast cancer. Golden Flax Seeds, Brown Flax Seeds, or Flaxseed Oil? Most flax seeds available commercially are brown flax seeds. Nutritionally, golden and brown are almost the same. In a head-to-head comparison done by the Canadian Grain Commission in 2001, brown flax seeds were found to have slightly more ALA than golden flax seeds. Both varieties taste better toasted. The easiest way to toast flax seeds is to lay them flat on a cookie sheet and bake them in the oven at 350F for about 8 minutes. Make sure to stir half way. Flax seed oil is not the same as flax seeds. Extracted from flax seeds, flax seed oil is a concentrated source of ALA, the use of which has been questioned because of its potential association with increased prostate cancer risk. Cancer-protecting lignans, for instance, are only present in flax seeds, not oil. Not all Omega 3 is the Same! If your doctor recommends that you take an omega-3 supplement, make sure to purchase one derived from marine source. ALA found in flax seeds is a type of plant-based omega 3 fatty acid, slightly different from the marine-based omega 3, like DHA. Most of the studies that have shown heart health benefits of omega 3 refer to the marine-based DHA and EPA. There is no clear recommendation of how much flaxseed one should take to reap the heart-healthy benefits. Most studies investigated the doses between 10 to 50 grams of raw, ground flaxseed. Some studies reported that an intake of 45 g of flaxseed has laxative effects. Many commercial food products now contain flax seeds, including bread, cereal, and bakery goods. Bakers sometimes use flax seed flour or include flax seeds in baking as well. Certainly, flax seeds can be added to a variety of homemade dishes! Sprinkle coarsely ground flax seeds on your cereal, yogurt, oatmeal, or salad. Substitute flax seed meal or flour for eggs in home baking, such as muffins and pancakes (1 tbsp milled flax seed plus 3 tbsp water = 1 egg). The final product will have less volume and taste gummier. Combine breadcrumbs and coarsely ground flax seeds; use the mixture to coat fish or chicken. Mix toasted flax seeds into homemade granola bars or trail mix. Toss flax seeds into your morning smoothie, along with banana, milk, and a touch of honey. Tell Us: How do you eat flax seeds?